We will be open through December 23rd, the last day of our current exhibition 25YEARS. 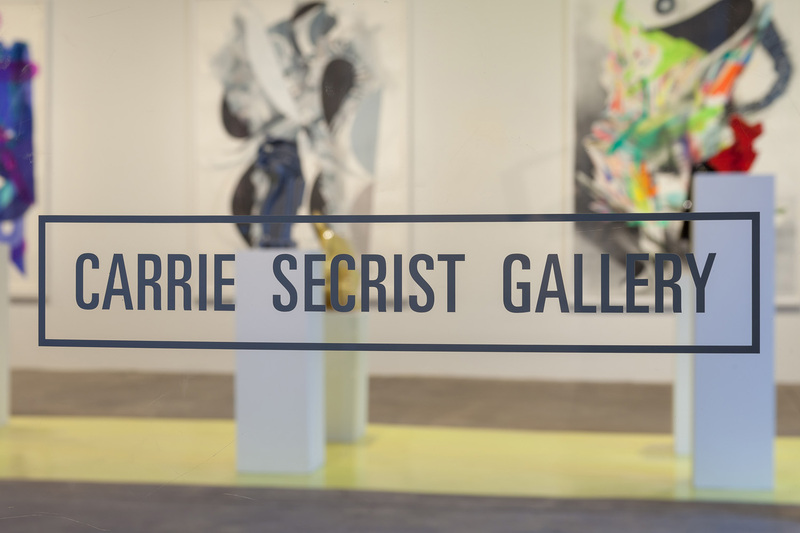 If you would like to contact the gallery over the holiday break, please do so by emailing info@secristgallery.com. Looking forward to seeing you in 2018! Brisket, with a detail from Diana Guerrero-Maciá’s Staring at the Sun, 2017. Wool, canvas, Belgian linen, cotton, oil paint, India ink and damaged American quilt back, 70 x 58 inches. 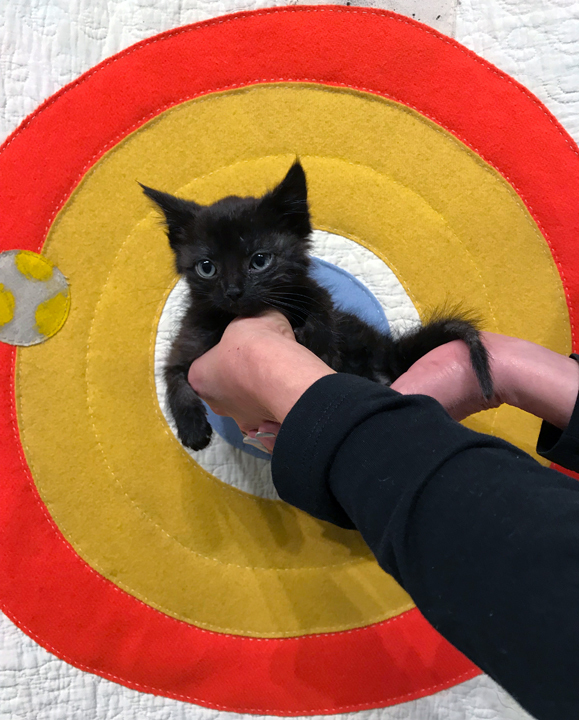 Brisket was found in a Chicago alley this week, and has since been adopted by a gallery staff member. During this holiday season, we hope you consider pet adoption!